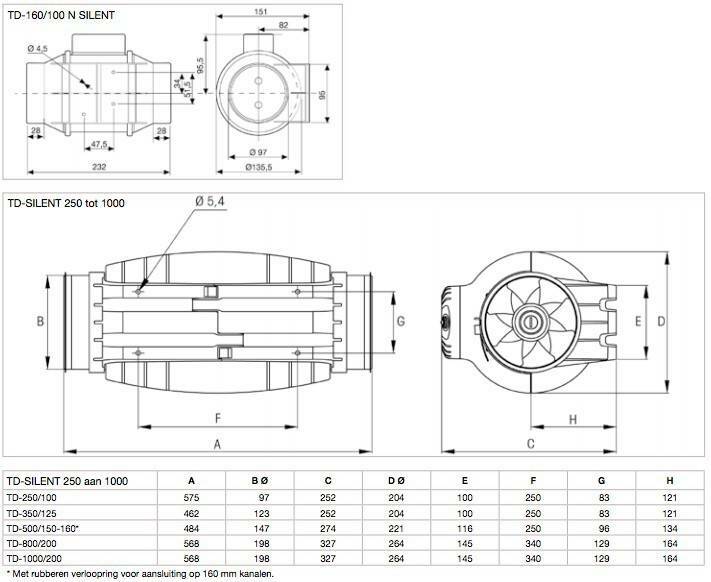 Soler & Palau MIX-flow plastic pipe fan Type: TD-250/100 SILENT. This tube fan has two settings, capacity at low speed 180 m3 / h and at high setting 240 m3 / h.
Soler & Palau MIX-flow plastic pipe fan Type: TD-250/100 SILENT. 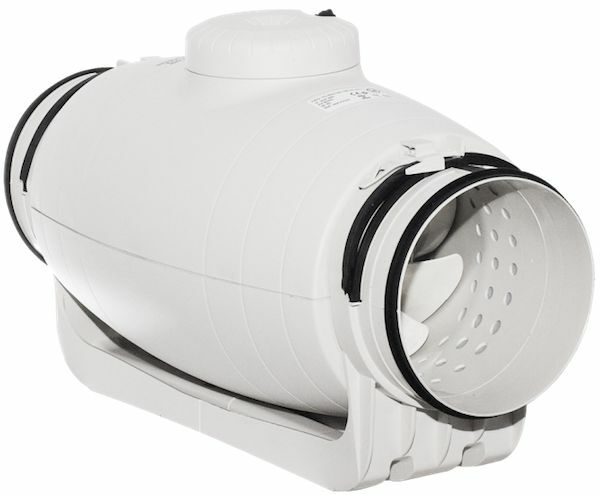 This tube fan has two settings, capacity at low speed 180 m3 / h and at high setting 240 m3 / h. Connection size is 100mm and 125mm, this fan has an adapter from 125mm to 100mm on each side so you can connect both 100mm and 125mm ventilation tube. The quietest tube fans in the world by several sound-absorbing materials and modifications. Small size so that this fan can be installed in many situations. Easy and quick to assemble. Also easy to care because the engine compartment snap through two clamps. Perfect for installation in tight spaces due to its compact dimensions. Certified by Approval Noise Abatement Society (Institute for sound testing). The engines are two-speed motors, single phase, 230V, 50Hz.